Scottish Power Renewables (SPR) is the largest developer of onshore windfarms in the UK. A prospective site in the north of Scotland was the subject of a detailed scoping study aimed at providing all the information needed to determine whether or not a development was appropriate. 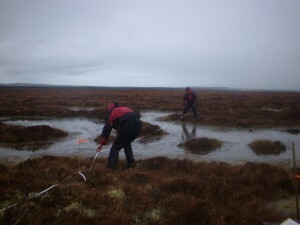 In the first phase of work we visited the site and undertook intensive peat depth surveys of the forest and open range habitats present using specialist techniques and equipment. 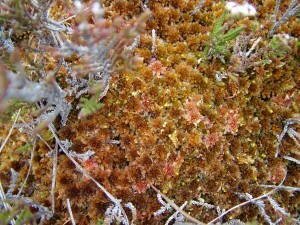 In the second phase, we obtained a wide range of data on the condition of the mire and peatland habitats present. This included detailed surveys of the plant assemblages, the bog microforms and the land management impacts which had acted to affect site hydrology. A description of site hydrology, including water table depths, flow paths and peat physical properties. 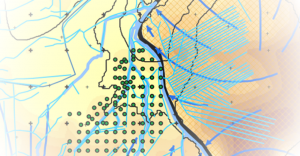 Recommendations for how to route infrastructure around the peatland. Outline plans for how to restore blanket bog after it was deforested. Follow up work included a highly detailed peat probing exercise to micro-site infrastructure along with a detailed study of peat re-use options to avoid waste management complications.